Posted By PA Breast Cancer Coalition on June 22nd, 2011 at 2:53 pm | 1976 comments. The countdown begins! 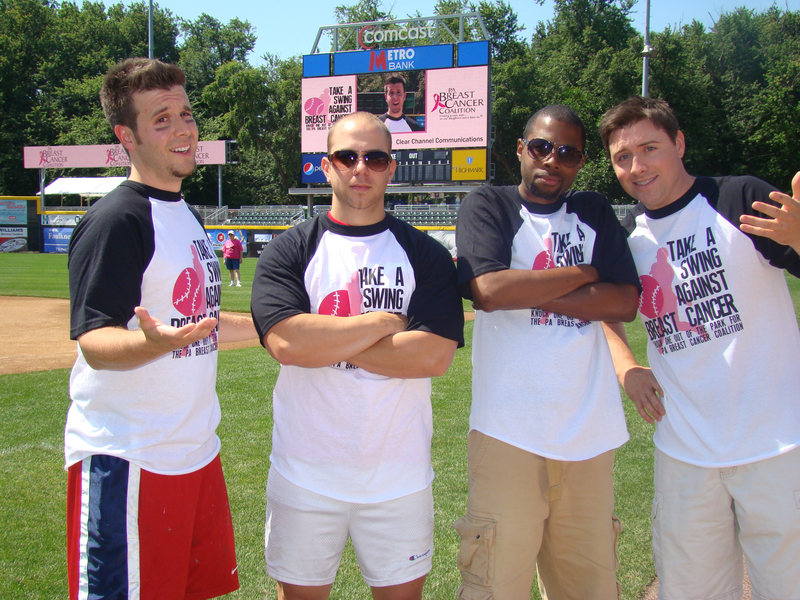 In just two weeks, the PA Breast Cancer Coalition will begin traveling around Pennsylvania hitting the 11 minor league ball parks in our annual Take a Swing Against Breast Cancer home run derby event. Sign up and submit your $500 team registration fee by the end of June and receive five free swings for your team! Every batter and volunteer who participates receives a bag filled with goodies and unforgettable memories! So what exactly does the winning team get? Four one-of-a-kind hot pink baseball bats, and of course, bragging rights. This is your chance to step up to the plate where your favorite minor league teams play. Over 60 teams have already registered for the Home Run Derby, but there is still plenty of room in the lineup. Take advantage of the June special and give your clients, friends, family and co-workers a day of fun in the sun and the experience of a lifetime! Can’t fill a team of four batters? Register as a single batter and you’ll compete with other individuals throughout the state. This is your chance to show your support for breast cancer survivors by helping a great cause. So grab your glove, lace up your shoes and put on your game face because it’s time to play ball! Posted By PA Breast Cancer Coalition on June 20th, 2011 at 1:46 pm | 576 comments. Check out the Summer 2011 edition of our print newsletter, FrontLine! Posted By PA Breast Cancer Coalition on June 15th, 2011 at 9:00 am | 5720 comments. Get accurate comprehensive online information about cancer at www.oncolink.org. The site is updated daily to offer the most up-to-date cancer treatment information and resources for patients and families. Read book reviews, participate in monthly webchats, or find a clinical trial. Nurses can access continuing education modules on a variety of cancer-related topics. You might also like to react to and comment on cancer news on OncoLink’s blog, and each section features a selection from the OncoLink Art Gallery. OncoLink is a service provided by the Abramson Cancer Center of the University of Pennsylvania. Posted By PA Breast Cancer Coalition on June 15th, 2011 at 9:00 am | 2962 comments. Make your PBCC Annual Conference experience twice as nice by taking advantage of our Bring a Friend Conference Registration discount. Buddy up and sign up for the October 11, 2011 conference, which will feature workshops on topics to challenge your mind and your soul – topics ranging from surgical options for breast cancer to the healing power of forgiveness. Early bird Bring a Friend Registration for the conference is $100, which covers the cost of two conference registrations. Register as a pair and treat a friend, sister, daughter, mother, or colleague to an inspiring day devoted to breast cancer issues. Individual early bird registrations are $65 each. Many more workshops will be announced in the coming weeks, so please check the conference website for more details! Posted By PA Breast Cancer Coalition on June 15th, 2011 at 9:00 am | 220 comments. Written by Barbara Good, Ph.D.
For years, women in cancer support groups and those discussing their treatment with sympathetic friends or relatives have referred to a syndrome they call “chemo brain,” the somewhat amusing-sounding but all too real experience of many who undergo chemotherapy in the course of cancer treatment. At times complaints from cancer patients about forgetfulness, lack of coordination, or the inability to find certain words during speech have been looked at by some in the medical profession as a result of the stress of cancer treatment, or fatigue, or both. A recent study at the Fred Hutchinson Cancer Research Center in Seattle now lends credence to the idea that the symptoms cancer patients describe appear, in fact, to come at least in part from cancer treatment and that they may last for periods up to five years or more. The patients examined had undergone chemotherapy as part of bone marrow or stem cell transplants to treat blood cancers, but the researchers believe their findings to be applicable to breast cancer patients and to those who have undergone chemotherapy for other types of cancer. Verbal memory and motor problems lasted longer than five years in some of the patients examined, but information processing, multitasking, and executive function tasks seemed to be regained within five years. Posted By PA Breast Cancer Coalition on June 15th, 2011 at 9:00 am | 1056 comments. The PBCC’s traveling photo exhibit, 67 Women, 67 Counties: Facing Breast Cancer in Pennsylvania made a visit to Huntingdon County in May. The display, hosted in the main lobby of J.C. Blair Memorial Hospital, features photos and comments from women from each of Pennsylvania’s 67 counties on their experience living with breast cancer. Huntingdon County exhibit participant and breast cancer survivor Billie Hammond (shown left) spoke at the opening reception. PBCC Executive Director Heather Hibshman served as emcee for the opening reception. In addition to Billie and Heather, speakers at the reception included Joseph J. Peluso, J.C. Blair Memorial Hospital President & CEO; Maria T. Pettinger, M.D., Chief of Staff & Department of Radiology Medical Director of J.C. Blair Memorial Hospital; and Pat Kepple, a local breast cancer survivor. Special thanks to Christine Gildea, the Director of Marketing & Community Relations for the J.C. Blair Memorial Hospital for serving as committee chairperson. The PBCC wishes to express our appreciation and gratitude to the PA Department of Health for their continued support of this educational and inspirational exhibit. Posted By PA Breast Cancer Coalition on June 15th, 2011 at 9:00 am | 594 comments. Cheryl Behrenshausen, shown left with her family at her daughter’s graduation, teaches first grade in the Shippensburg Area School District. She has been a school teacher for 27 years. Her husband Eric is an elementary school Phys Ed teacher. Two days before Christmas 2004 she had a biopsy following a screening mammogram. Two days after Christmas she got the breast cancer diagnosis. She says that the mammogram saved her life, and she gives credit to the radiologist who was aggressive about following up on the suspicious finding. The tumor was only 1 centimeter. She had a mastectomy in January 2005 and recently completed 5 years of tamoxifen treatment. She has a good friend, a co-worker who teaches right beside her. Their birthdays are two weeks apart, they are the same age, and have always been close. Her friend was diagnosed two weeks after Cheryl was. It was a real wake-up call to the school and many of the teachers began getting regular mammograms. Throughout the treatment process the two friends were grateful to have one another to lean on. She and her husband Eric are big sports fans. She follows the Green Bay Packers and New York Yankees and the family has season tickets to Penn State football games. Cheryl is a member of the ABC’S support group in Carlisle and joins the other members of the group in volunteering at the PBCC Annual Conference registration booth. 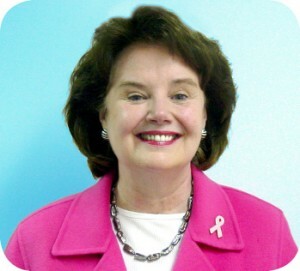 President’s Corner: Want To Take a Swing Against Breast Cancer? Posted By PA Breast Cancer Coalition on June 15th, 2011 at 9:00 am | 252 comments. We want to add your name to our 2011 Home Run Derby Hall of Fame – but you need to step up to the plate to make it happen! We’re still registering batters for each of the eleven ballparks taking part in the Home Run Derby. Register a team of four or just yourself – or give a Dad you know a Father’s Day gift he’ll talk about for years to come. As an added bonus for those who register by the end of this month, you will get 5 extra swings when you step into the batter’s box. This gives you even more chances to knock one out of the park. We have 11 different events happening at ballparks across the state in July, so check our website to find the one closest to you.